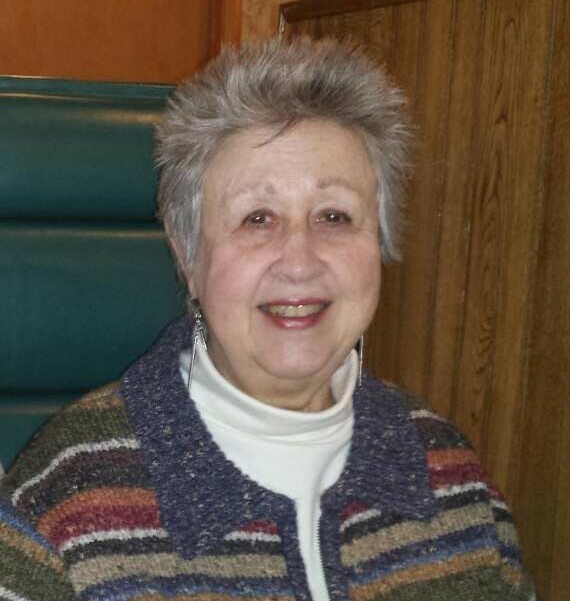 Rebecca Sue Olson (Becky) nee Parkins, age 78, passed on May 2nd, 2018 at Kindred Hospital, Sycamore, IL after an extended illness. She was born on July 25, 1940 in Alton, IL to Mrs. Grace F. Parkins and Mr. Morris R. Parkins. She attended schools in Alton, IL and spent many summers at her grandmothers, Rebecca Leeds, in Pittsfield, Illinois. She graduated from Alton High School in 1958 with honors. She was a member of the National Honors Society and received the Betty Crocker Award. She received a Bachelor’s Degree from Western Illinois University in 1962 and a Master’s Degree in Guidance and Counselling in 1963. She was a youth program director at the YWCA in Alton, IL. She was a guidance counselor and class sponsor at Larkin High School in Elgin, IL from 1964 thru 1970. She married Clifford J. Olson her husband of 53 years on December 26, 1965 at the First Presbyterian Church in Alton, IL. Her first son, Todd Davis Olson, was born on September 25th 1970. Other occupations included insurance sales, benefits administrator for Thomas L. Jacobs and a proofreader for R&R Donnelly and Sons. Her 2nd son, Andrew Jay Olson (A.J.) was born on August 27th, 1985. She did post graduate work at the University of Illinois, Chicago. Her interests included reading, knitting, civic activities, travel, opera, botanic gardens, and teaching Sunday school, as well as genealogy in which she was a member of the Elgin Geological Society. She was the founding president of the Friends of the Library, at the Gail Borden Library in Elgin, IL. She belonged to four reading discussion book groups. She was a member of the National Education Association, The Illinois Education Association, and the Elgin Teachers Association. She was active in the American Association of University Women and had served as membership chair. She was an associate member of the Elgin Area Retired Teachers Association and enjoyed the dinner group, programs and trips. The breakfast group lecture at the Little Traveler in St. Charles, IL was a favorite. She received many awards for her leadership activities. Family members she is survived by include: her husband Clifford J. Olson of Elgin, IL and her sons, Todd and Andrew, also of Elgin, IL, her sister M. Kay Overath-Durham and brother-in-law Terry Durham of Godfrey, IL; her nieces Mauri L. Overath of Alton, IL; Mrs. Andy LaFreniere (Jill) Ofallon , IL , her daughters Rubee and Lairra Unverzagt O’fallon (grandnieces), sisters-in-law and husbands: Ms Rhonda Bank, Tucson AZ; Mrs. Andrea Richards & husband Bob Richards Mankato, MN; Mrs. Judy Retrum & husband John Retrum, Evansville MN; Mrs. Kaye Case & husband Douglas Case, Rochester MN; Mrs. Terry Johnson & husband Larry N. Johnson, Colombia, MD. From these five families, too many nieces, nephews, grandnieces, and nephews to mention. She is also survived by brother-in-law Mr. Charles Winker, St. Charles, MO (her sister Jean’s husband) and his children, Mr. Steven Winker of Juneau, AK; son Ryan Winker of Seattle, WA; Mrs. Richard Costanza (Suzanne), St. Charles, Mo. ; their sons Mario and Matthew Costanza and their wife & fiancée. Jean’s other daughter Mrs. Phil Owen (Stephanie) and their daughters Samantha and Kayla of San Rafael, CA. Preceding her in death were her parents; her sister Evelyn Jean Winker who passed May 14th, 2003 at age 68, Brother-in-law Larry Joe Overath, April 26th, 2001 age 56; son Matthew Overath who died in infancy Sept 1962. She was a loving sister, daughter, wife, mother, aunt, great aunt, friend and lifelong student. Many people appreciated her wit, satire and “wicked” sense of humor. She is blessed to be missed and remembered by many. Her favorite Bible passage was John 3:16. She requested no funeral services be held. Her remains will be interred in Valhalla Cemetery in Godfrey, IL alongside her parents. Cardinal Funeral & Cremation Services, Ltd of Elgin are in charge of private cremation, please sign the guestbook at cardinalfuneral.com.